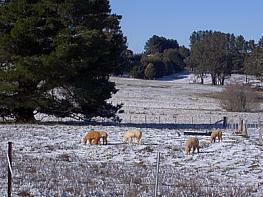 On 8th May 2012 we had our first ever set of alpaca twins born at Hunter Alpaa Stud. The twins by a female owned by Robert & Carol Hill known as April x Hunter Absolute were born at our East Maitland property. Both were female one was born alive ( and running) the other located deceased. Peter & Narelle welcomes you to our site. 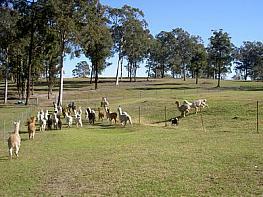 Hunter Alpaca Stud established in 1994, in the heart of the Hunter Valley @ East Maitland. 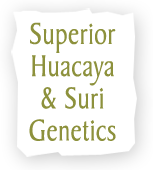 Since 1994 we have continued to excel and grow with genetics from across the world. Well established with farms in both the Hunter at East Maitland and at Porters Retreat via Oberon, thus giving breeders and new breeders the opportunity to visit or purchase stock from either location. Whatever stock you are looking for you will find with us, as we always have a range of stock available for sale from Stud Stock to Pets or Alpaca Guards for your Herd. 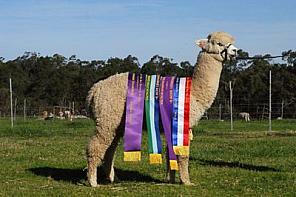 We will have a large range of animals to view and sell.